This post lists some of Amplivox Sound Systems resolutions for the New Year. Fifteen is a lot, hopefully we can keep most of them! 3. Keep Learning things new about what I do. To do this I will find great blogs and books to read and good people to learn from. Also going to trade shows (like the Grainger Total MRO Solutions Trade Show) to keep up to date with new products and technologies. 4. Work on Weaknesses, Strengthen Strengths. Doing this well will help you increase productivity. Amplivox strives to continue to produce and develop new innovative digital audio products and integrate new technologies into our lecterns, podiums, and wide range of portable PA systems. 7. Strive to Achieve maximum customer satisfaction by listening and responding in a timely manner. 8. Journal what happens in life. It can be fun to look back and reminisce things you normally would have forgotten if you hadn't written down. It is also a good place to vent and clear you mind. 11. Manage stress well -- Check back to our blog to see tips to live stress free. 13. 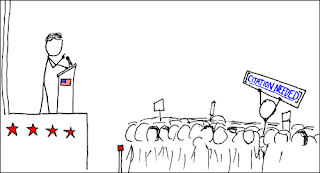 Become a better public speaker. A great way to build confidence in the public speaking arena is to join a local Toastmasters. 14. Be more positive -- "I'd rather be positive about everything and always wrong than be negative about everything and always be right." 15. Follow 1-14! Most resolutions do not get kept. Only 61% last a month, and only 46% after the six month mark. What are your New Year's Resolutions? Leave a comment! Amplivox has launched over 25 new products and systems over the last few years. We will continue to develop quality products and provide excellent customer support. - Recycle: The old standard still works. This is a painless and easy way to help the planet. A glass bottle, for example, is said to take 4,000 years to decompose and blend back into the environment. By recycling we eliminate this process completely. - Use your Dishwasher: Surprisingly, research has shown that using your dishwasher instead of washing your dishes by hand saves energy. A dishwasher uses less water than you would if you washed everything by hand. You should stay away from pre-washing your dishes in the sink, set your dishwasher on the lowest heat level, and avoid using the rinse function and automatic air dry. It may take a little longer to dry but costs you nothing and saves energy. - Shut Down and Unplug Electronics: Turn off your computer when it’s not in use and use power strips for phones and other electronics so you can turn them all off easily. Making small changes like these in your life will reduce your energy bill. - Tree-Free Home: Eliminate unwanted trash and save money by investing in cloth napkins. Replace paper towels with cloth towels or napkins, read books, magazines and newspaper from your local library, and reuse paper products where ever possible. - Buy Only What You Need: Avoid unnecessary waste by purchasing only what you know you’ll use. - Buy “Green”: Focus on buying appliances that focus on saving energy. Also if possible choose a utility company dedicated to renewable energy. Amplivox Sound Systems does a great job producing environmentally friendly solid wood lecterns as well as portable sound systems. Click here to see the video on our Environmentally Friendly Packaging Peanuts. Our signature Pinnacle Podium is made from recycled plastics as well. - Avoid Commercial Cleaning Products: Statistics show that we dump approximately 32 million pounds of harmful toxins down the drain every year. Can you imagine what kind of damage this is doing to the environment? Believe it or not, you can make your own cleaning solution from a mixture of vinegar, salt and baking soda. It is easily absorbed into the environment and it will save you money on all those expensive household cleaners. 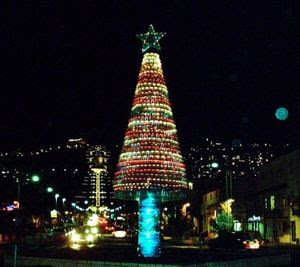 ISRAEL: Still reeling from the devastating forest fire that recently ravaged northern Israel, the country is gearing up for Christmas celebrations by showcasing a tree made from recycled bottles. The eco-friendly display in the port city of Haifa was built with 5,480 recycled water bottles donated by locals. What did we miss? 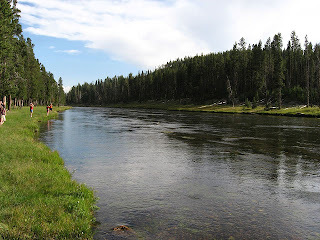 What do you do to help the environment? Here at Amplivox we try to give customers the best experience we possibly can. Customers can take advantage of one or all of our services. When you call 1-800-267-5486 you will speak to a customer service representative not a recording. 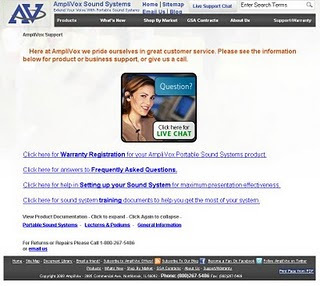 Our website also offers live chat and ask a question features, that allow you to get quick responses to questions or concerns you might have. 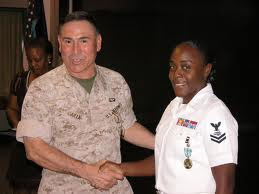 AmpliVox is proud to support the men and women of the U.S. armed forces. 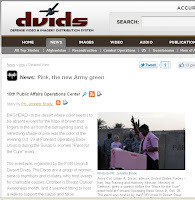 We recently donated one of our pink podiums in support of the fight against breast cancer to the U.S. army in Iraq. Dark gloomy weather slows down the brain. Dreary, dismal days without the sun may do more than dampen our spirits. They might just impact the cognitive skills of those who battle depression. Seasonal affective disorder (SAD), more commonly known as winter depression, affects as much as 9.7% (in New Hampshire) to as little as 1.4% (in Florida). Here are a couple symptoms you may be experiencing and possible treatments. Interesting Facts: In many species, activity is diminished during winter months. 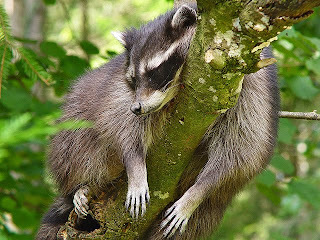 Food was scarce during most of human prehistory and it is argued that SAD is an evolved adaptation of a hibernation response in some remote ancestor. Higher latitudes seem to have a direct relation to cases of SAD. While Florida only experiences about 1.4%, the northern states such as Washington, Montana, North Dakota, Minnesota, Wisconsin, Michigan and the New England states surpass 9%. Countries such as Finland and other Nordic countries have an estimated 10% or more of their population affected by SAD. 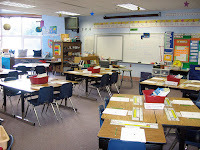 Robert said, "Most of the classrooms at my school have them. Most of the teachers prefer them. They usually have 2 mics one for teacher and one to share for students..."
Joanne said, "We used this in our classroom and the results were amazing. The students behaved better and we were able to directly pinpoint it to the use of the mic/speaker. Cost is definitely an issue, just like anything else. Classrooms with students with special needs are able to get the resources more than a classroom with out students with special needs, but where there is a will there is a way." 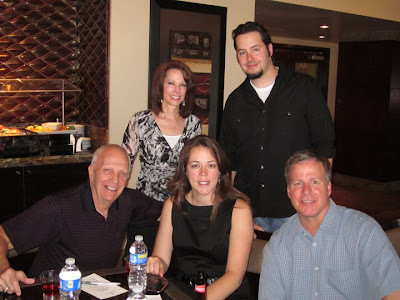 Mitch said, "I have used sound systems for over 30 years. There is actually much greater opportunity to modulate your voice with a sound system than when you are trying to make sure the person in the last row can hear you. Have your teachers (and students) observe comedians, newscasters, and Discovery Channel narrators. With just a little thought and practice, an amplified voice can add a whole new dimension to a presentation." The nice thing about an Amplivox Portable Sound System is that it can be used for a variety of purposes. 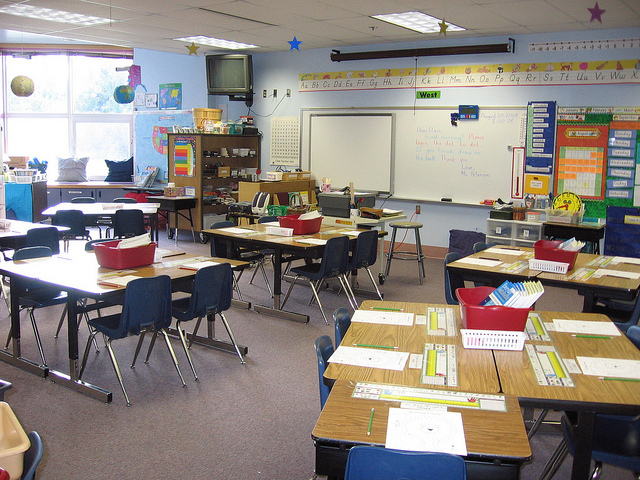 Some classroom systems are stuck in the classroom permanently: Amplivox systems are portable systems that can be battery-operated and used in a variety of school events: recreation (physical education and sports), school assemblies, teacher meetings, ESL classrooms, and any other setting where you want your voice to be heard loud and clear. For more information, please visit our website or call us at (800)267-5486. We here at Amplivox Sound Systems sell our quality sound systems and lecterns direct to the consumer and also through many resellers and dealers. One of our dealers is Kiefer Auction Supply, out of Fergus Falls, MN. Here are some videos they made featuring Amplivox products, specifically the Half-Mile Hailer, the Belt-Blaster Personal PA System, and the Audio Portable Buddy Personal PA System. Thanks for the mention! 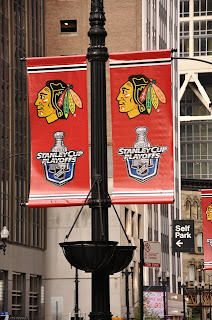 At the beginning of this summer, the Chicago Blackhawks NHL team won the Stanley Cup for the first time since 1961! 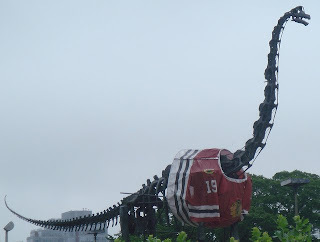 The picture to the left is several Amplivox employees celebrating the Blackhawks' historic win in style. If you didn't know, Amplivox Sound Systems is located in Northbrook, IL, about 30 minutes due north of the city of Chicago. 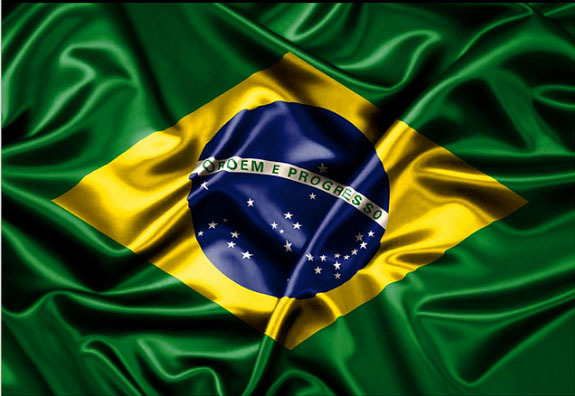 Click on the following link to see recommended Professional PA Sound Systems for Sports fans and Recreation Officials. One of our most popular products at Amplivox is the Half-Mile Hailer Loudspeaker PA System, it can be heard an entire half mile away! Enjoy the following four videos featuring the Half-Mile Hailer and Sound Cruiser! 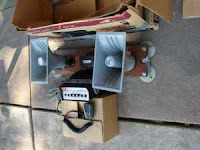 The Hailer is a great PA Loudspeaker for your outdoor PA system needs. For information regarding the PA System design or if you want to see PA system reviews, please visit Amplivox Portable Sound Systems website or call us at (800)267-5486. Periodically, we here at Amplivox want to share some interesting links, videos, and articles with you relating to portable sound systems, social media, current events, or something we thought was cool. If you keep up with our Twitter page, you may notice that some of these are repeats, but they are all links we found to be very interesting. 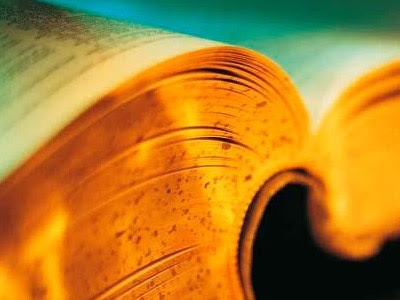 King Solomon's Take on Social Media -- This blog post looks into some of the wisdom literature written by King Solomon of the Bible, known as "The Wisest Man who Ever Lived", and applies much of that wisdom to Social media. Really great stuff. What are some links that you find interesting? Leave a comment! 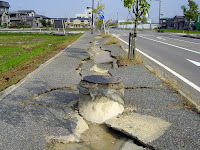 Natural disasters have been a major headline in 2010 with huge earthquakes taking place in both Haiti and Chile. One interesting thing about both of those earthquakes, is that even though the Chilean earthquake was of bigger magnitude, the devastation was much worse in Haiti. The reason for this is that Chile was a lot more prepared for the earthquake (due in large part to economic reasons). They were more prepared in a many ways including having better infrastructure, builds built to withstand quakes, and emergency planning. Words cannot describe how tragic the Haitian earthquake was: it killed over 200,000 people. In comparison, even though Chile's earthquake was much stronger, preparation helped limit the fatalities to being in the hundreds instead of hundreds of thousands. States like Kentucky, Tennessee, Missouri, Arkansas, and Illinois (Amplivox Sound Systems is located in Northbrook, IL) lie on a major fault line and are at a greater risk than many realize. The Great Central U.S. 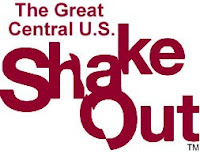 Shake Out's mission is to be as prepared as possible to be prepared for disaster and save lives. 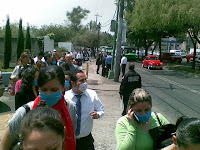 A drill will be held on April 28, 2011 at 10:15 AM CDT to prepare for potential disaster. A scary thing for organizations like schools, corporations, and religious institutions is communicating to panicked people during such emergencies. Directing panicked people in a noisy environment is nearly impossible without a way to extend your voice like using a portable PA system. 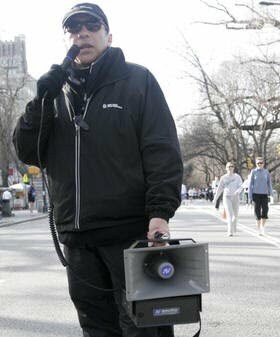 Broadcasting emergency instructions by using portable sound systems in your emergency preparation is a great way to direct scared people towards safety. -VIDEO: How to Choose the Right PA System for my size audience? 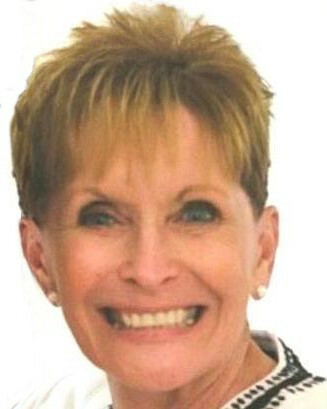 This blog is a sneak preview of the soon to come blog entry about Amplivox employees. 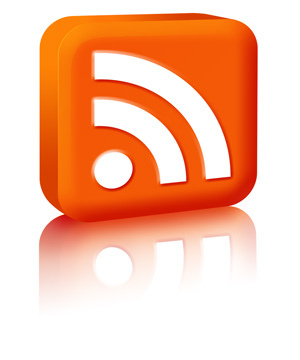 We are working on a series of follow-up blog posts highlighting specific individuals at Amplivox, check back! Here are several new videos from the Amplivox Sound Systems Youtube Channel giving a quick video overview several of our popular podiums and lecterns. Enjoy! At Amplivox, we daydream from time to time about new products we could put together that would make the lives of our customers easier. As we sit and put our brains to work, we come up with the strangest things. Here are two products we dreamed up for future use. Keep in mind that these products are not in production and are simply daydreamed ideas. Introducing the Amplivox Coffee Pot/PA System. This PA system is a great addition to any kitchen where busy mom's and dad's need to get the attention of the entire family for announcements during the hustle and bustle of the morning. This would also be great for announcing dinner and getting the attention of guests when food is prepared. This system comes with 30 watt speakers and the great microphone options that Amplivox has been known for. It has a 'Line Out' option to hook your Ipod or MP3 player and play your favorite music in the kitchen in the morning or while you cook. It also includes an AM/FM radio so you can listen to your favorite station in the morning. It also brews a great pot of coffee with a timer setting so you can set it up at night and wake up in the morning to a fresh pot of coffee. 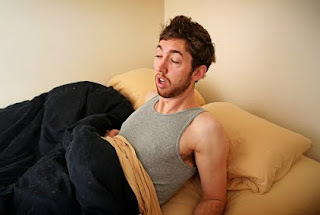 The timer can also be set to the radio so you smell the coffee, hear the radio, and boom you are awake! Are you tired of being told to 'get off your soapbox'? Amplivox now makes it possible to get on your soapbox and be heard loud and clear with the 'Get on Your Soapbox' Portable Podium. This podium comes with a soapbox built into the podium. All you have to do is get the soapbox out of its hidden compartment right before you speak and presto...you can speak and stand on your soapbox. This podium is made of durable plastic and can easily be carried around. It has several wiring options and can even come with a wireless mic. The podium has the same options as all of our other podiums plus the 'soapbox'. It is a taller model to include your height while you are on your soapbox. When you are finished, you simply get off your soapbox and put it back in the hidden compartment until you are ready to jump back on at a later date. This new feature offered by Amplivox hides your laptop or your Ipad inside the top of the lectern. You send us the dimensions of the hole you need and we well craft the top of the lectern just the way you want. No one wants to see your laptop during your presentation and with the Laptop Hider option, they don't have to. The Ipad hider is a nice option too. You can simply drop your Ipad into the lectern and have your Ipad hidden in the top of the lectern. No fumbling with notes, no dropped papers, a simple, organized solution so you can give your best presentation. Now remember, these are just daydreams and not actual products. You will not find any of these products on our website. However, you will find some of these great products on our website: the Half-Mile Hailer, the Presidential Plus Lectern, and the Mity-Meg Megaphones. To order any of these great products, visit us at Ampli.com. 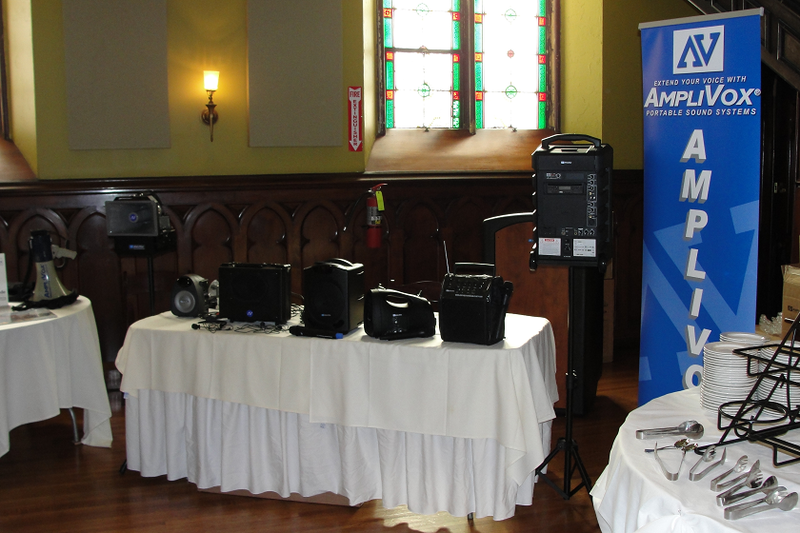 Amplivox Portable Sound Systems has a whole range of sound systems to fit any situation. That may make it hard for someone to find what they are looking for in terms of size. For example, you are not going to need our Half-Mile Hailer Loudspeaker PA to use as a tour guide personal PA system. 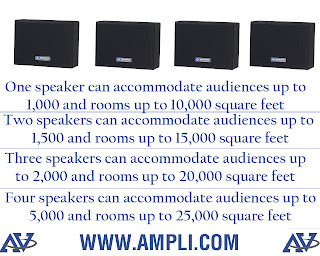 In optimal conditions, this guide will show about how many people and how many square feet our sound systems can cover. Use the graphic on the left as a guide and this video below to help you choose the right size. As the mid-term elections wrap up around the country, one cannot help but notice that social media played some role in the elections. Although a candidates tweets and Facebook posts may or may not have driven up votes for he or she, the fact that candidates and their teams across the county opened Twitter accounts and started Facebook pages shows that candidates realized they needed to get in the social media game. Being a Chicago based company in the 10th District, we had the privilege of having newly elected Congressman Robert Dold visit the office and warehouse in Northbrook, IL. An article on Mashable was titled "Did Facebook Popularity Predict Election Results?" was very interesting showing a real correlation to the number of fans to who got elected. If you didn't know, Amplivox has had some interesting relationships with politicians like Barack Obama, Sarah Palin, Illinois Congressman Mark Kirk and Bob Dold. Click on this link to see how Amplivox is the company of choice for portable sound systems and lecterns to politicians. Below are some videos of Politicians using Amplivox products. At least one thing can have Bipartisan support! The EZ Speak Folding Lectern is a Great Option for the Busy Presenter. If you are a busy executive, making presentation after presentation with no guarantee of what your next lectern will look like, we have your solution at Amplivox Sound Systems. The Amplivox EZ Speak Folding Lectern is a great for you. It is a lightweight portable podium that folds up nicely into a briefcase sized package for easy transport. The EZ Speak Folding Lectern can come equipped with a 50 Watt sound system capable of handling wired or wireless microphones. The lectern also fits very nicely on our Mulitmedia Cart Base and can become a full height podium quickly. If you order a EZ Speak Folding Lectern with a wired or wireless system in it, we include a great carrying case with wheels and extending handle for easy transport. To order an EZ Speak Folding Lectern or any other of our great products, visit us at Ampli.com. Make a Good Impression on the First day of Work. Anytime you have a career change or move to a new job, a new journey begins. We at Amplivox recently had a new member join our team. As he was touring the warehouse and meeting his new co-workers, I began thinking about my first day at Amplivox. I met my new coworkers, my social media teammate Kevin, and learned about Amplivox products. I learned about my responsibilities in a deeper context and began to see how I would fit in on the Amplivox team. It was the beginning to a new chapter in my work experience. Those experiences were simply the exterior facts of the things I did. What is not mentioned is the interior feelings that everyone goes through in beginning a new job. Some of the same questions I had going into elementary school arose on my first day of work. Will I be liked? Will I like this new place? What will my teacher/boss be like? How will I fit in with my classmates/coworkers? Do I have what it takes to succeed here? 1) Be On Time: Get your new job started on the right foot by being on time. 2) Be Yourself: You could try to act like someone else but that's not why they hired you. Just be yourself. 3) Smile: You have a job in an economy that isn't the hottest right now so be thankful. 4) Dress the part: Appearance is important when making a first impression. If you come overdressed to work on the first day, no worries. It shows you are serious about your work and want to succeed. You will learn what the dress code is. 5) Be Open and Confident: Be honest in your abilities and confident in the reasons they hired you. Coworkers can appreciate a fellow worker who is honest and confident in their abilities. Careful not to come off arrogant in attempts to be confident. 6) Don't be afraid of small talk: Although small talk can get old after a while, when you are meeting new team members it is good to get an idea of what they like and what points of interest you share. 7) Be Positive: No one likes a 'Debbie Downer' as their new coworker. Work hard and bring energy to the team. 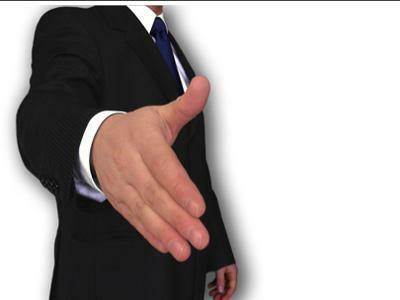 These are just a few tips on making a good first impression. 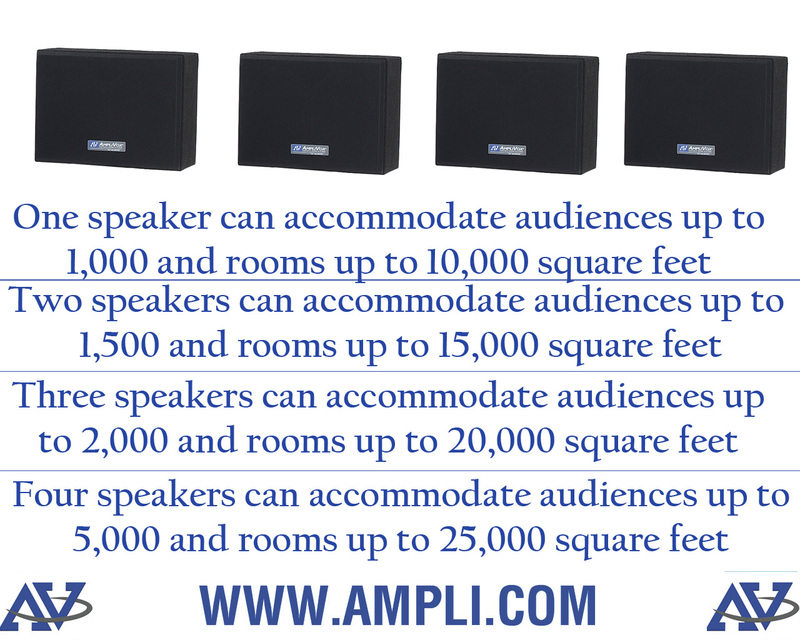 If you need to make a good impression with your sound system, check out Ampli.com for all your sound system and presentation needs. 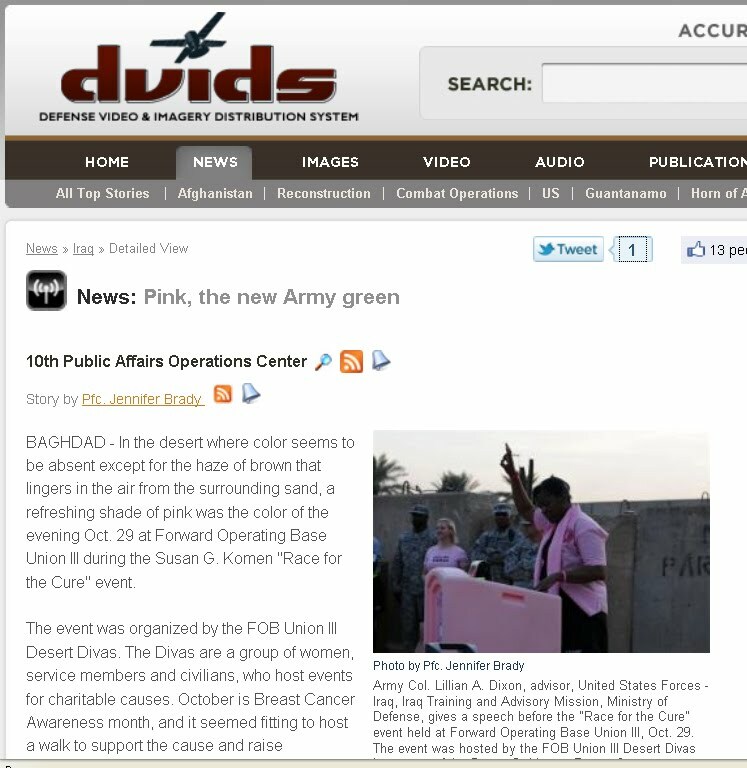 One of our Pink Podiums donated to help support the fight against breast cancer was used recently in Baghdad by the US Army. The following excerpt is an excerpt from an article titled: "Pink, the New Army Green"
The Susan G. Komen "Race for the Cure" series is the world’s largest and most successful education and fundraising event for breast cancer ever created. The program focuses on celebrating survivors, educating people about breast cancer, and, most importantly, finding a cure...The starting line was complete with motivating music and a pink podium where Dixon gave her opening speech before the walk. What does the name "Amplivox" Mean? So what does the name Amplivox mean? Vox comes from Classic Latin and means: "voice"
Therefore, Ampli-Vox literally means "to enlarge or expand voice." You are probably one step ahead of us... Amplivox's slogan is "Extend Your Voice" for this very reason. The excellent sound quality our lecterns and sound systems provide allow you to extend your voice so that your message can be heard loud and clear. Recently, we told you about Amplivox teaming up with Fresh Start of Illinois for their fundraiser. One of our employee's decided to stop by and take a look at how Amplivox was helping their cause.He took some photos and video to share with you. Here is a video highlighting the event. . 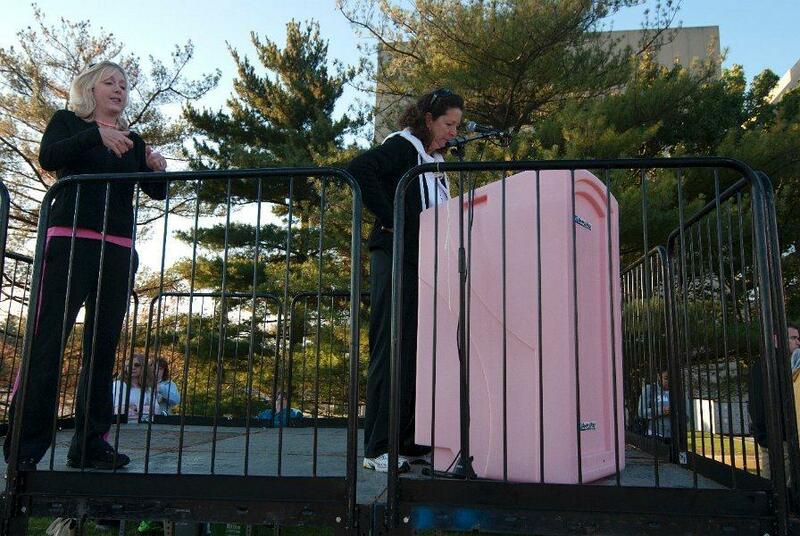 The Pink Podium made another appearance recently at a Susan G. Komen Race for the Cure event in Hunt Valley, Maryland, just outside of Baltimore. The event had more that 28,500 participants and raised over $2.4 million for Breast Cancer Awareness. The Pink Podium was used for the 18th annual event and pictures can been seen here. 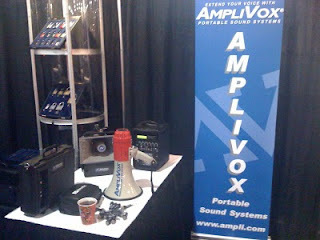 At Amplivox, we love visiting with our distributors at events across the country. It gives us a great opportunity to interact with people and other companies in the audio/visual market. 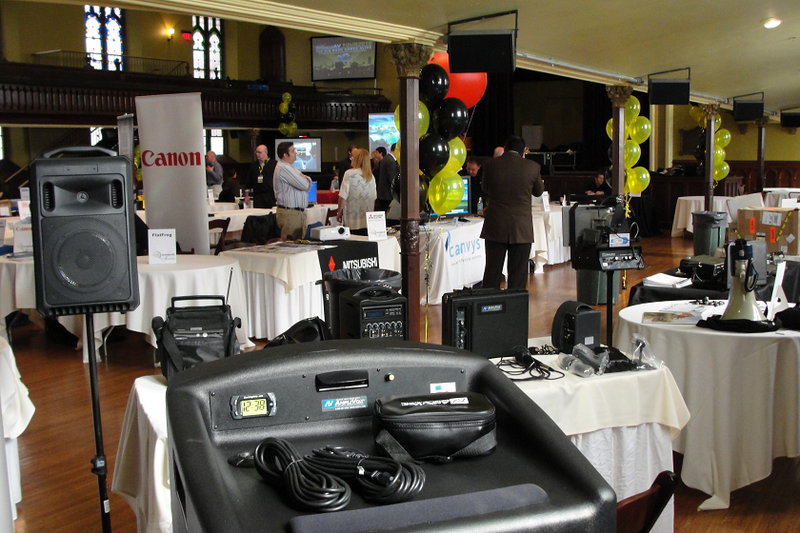 Amplivox recently went to the Stampede Vendor Summit in Buffalo, New York. 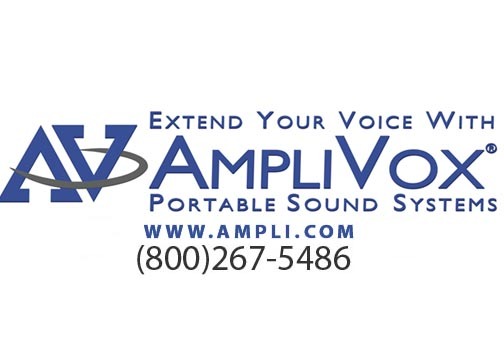 Stampede distributes Amplivox products across the country. 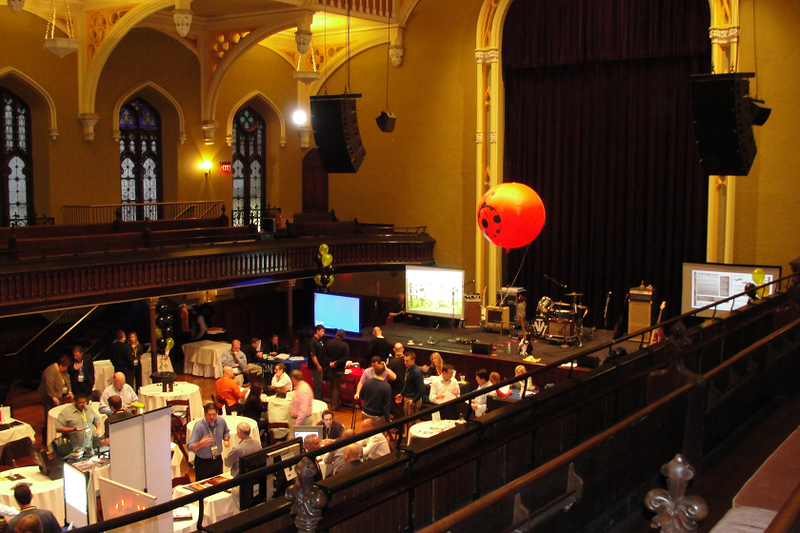 The event was held in Buffalo's Asbury Hall, a former church sanctuary turned into a state-of the-art event performance venue.We are thankful for our partnership with Stampede and were very happy to participate in the Summit. Amplivox Sound Systems prides itself in having high quality products for the best value around. A part of that value is knowing that the production process for your product did not harm the environment. From environment friendly packaging to post consumer materials used in our products we are striving to reduce, reuse and recycle to conserve energy for the future.Our initiative to go green has gotten some great coverage and we wanted to share the news here all in one blog. You'll find all of our Green info and coverage of Amplivox going green here. We start with our lecterns and podiums. The wood used for our lecterns and podiums is "Forest Friendly" - No trees are cut to produce Amplivox products! Recovered and recycled post-industrial wood residues are used, which helps to stretch forest resources. Composite wood panels made with resins aid timber conservation since they enable wood waste (chips and sawdust) to be used in 5x more construction panels than solid wood or plywood panels. Amplivox wood suppliers have secured the Forest Stewardship Council (FSC) Mixed Sources accreditation. Green Cross has certified our raw particleboard panelsas being 100% recycled and recovered wood fiber. We also encourage the local market: All fibers used in Amplivox panels are locally-sourced from post-industrial and post-consumer wood recycling plants. All panels are manufactured locally. We are also WEEE and RoHS certified. You can find more information on those certifications by clicking on the links. Our packing peanuts are also recycled and cuts down on energy and use of resources. All of our efforts have been well documented by Forbes.com, Yahoofinance.com, and Morningstar. We appreciate the coverage and glad that these media outlets have recognized the importance of companies going green. Amplivox Sound Systems CEO Don Roth recently contributed to the 'Today's Tip' posted on Businessweek's website . The tip is was posted October 8th and dealt with 'Engaging Cause Marketing to Promote Small Business". After Don's fight with prostate cancer, he wanted to aligned the company with breast cancer awareness in a cause marketing campaign. This led to the Pink Podium Promise. 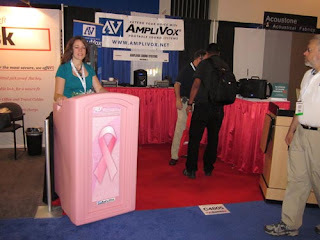 Amplivox is proud to sponsor any Breast Cancer Awareness event. Click on the link above to find out more about our Pink Podium Promise and how you can get connected. A little while back we posted a brief blog entry about how using PA audio systems in classrooms can greatly increase the effectiveness and efficiency of education and in turn improving productivity. We have since made a video describing benefits and how Amplivox can help. 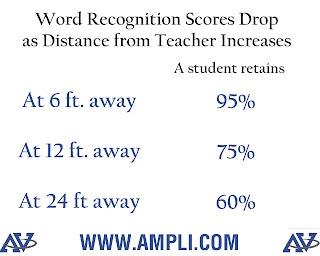 "Even a 'normal' hearing child can miss as much as 1/3 of what teachers say due to poor acoustics... children with 'normal' hearing experienced an increase in test scores across the board [when in amplified classroom]..."
The graphic on the left illustrates just one way how students benefit from amplified classrooms. 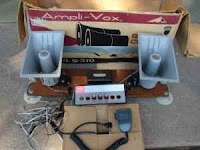 Recently we blogged a brief history of Amplivox. 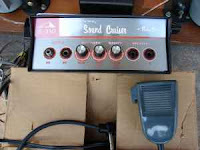 We thought we'd give another flashback to the past and use some pictures of old Amplivox products found online to take a glimpse into our "time capsule." The pictures shown are of an old version of our popular Roving Rostrum Tabletop Lectern and of our Sound Cruiser Car PA System. 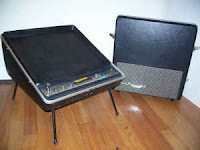 The fact that these products are still around and functioning testifies to the quality and durability of Amplivox products. It is interesting to note that these products have not changed very much over time, witnessing to how our portable pa systems and tabletop sound lecterns are timeless pieces of equipment.